Summary: “Princess Winter is admired by the Lunar people for her grace and kindness, and despite the scars that mar her face, her beauty is said to be even more breathtaking than that of her stepmother, Queen Levana. 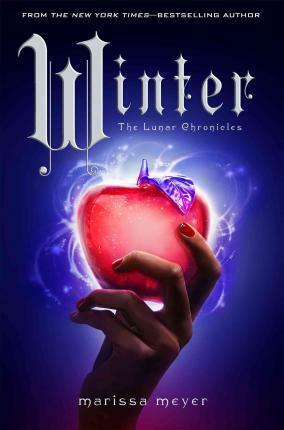 Can Cinder, Scarlet, Cress, and Winter defeat Levana and find their happily ever afters?” (Summary found on Goodreads). Anyway, Winter was amazing and the perfect conclusion to a brilliant series. Like all of Meyer’s books, it was written beautifully and the characters were wonderful as usual. I love how Cinder isn’t like all the other main characters in young adult novels, she’s strong and doesn’t whine all the time. I was never bored to tears reading her or wanting to pull out my hair because she was so annoying. I highly recommend this series. It’s definitely on my favorites list. It doesn’t fit into any genre that I can think of, but I still love it! If you’re fond of fairy tales or science fiction or fantasy or basically every genre ever, go read it!